If I was asked to pick one thing about the EU that I like it would be the fact that it allows me to live and work anywhere in the EU without too much difficulty. But like all rights it has to be reciprocal. British people cannot reasonably expect to be able to live and work in Spain unless we allow Spaniards to live and work in Britain. But why would we want to limit the right of Spaniards to come here? Why for that matter would we want to limit the right of any European to come to Britain? At the heart of the debate about the EU is the topic of immigration. But it is being made in a way that completely misses the point. This is in part because immigration is a difficult, almost a taboo topic. Like so many issues in modern Britain we’re all scared to say what we think clearly in case we commit the unforgivable sin and get cast into outer darkness. I have lived and worked abroad, both inside and outside of the European Union. My husband is from Russia. So that makes me someone who has benefited from immigration. I don’t think it is reasonable to be against any individual in the world coming to live in Britain. But it is perfectly reasonable to oppose all individuals in the world coming to live in Britain. There are more than seven billion people in the world. They cannot all have the right to live and work here. For this reason we have to limit the right of those who may want to come here. Some people favour bringing down all borders and allowing everyone in the world to live and work where they please. This would have the consequence however of effectively abolishing countries. What after all is a country, but the people who live in it? We may think that a country is a matter of land, but this is not so. 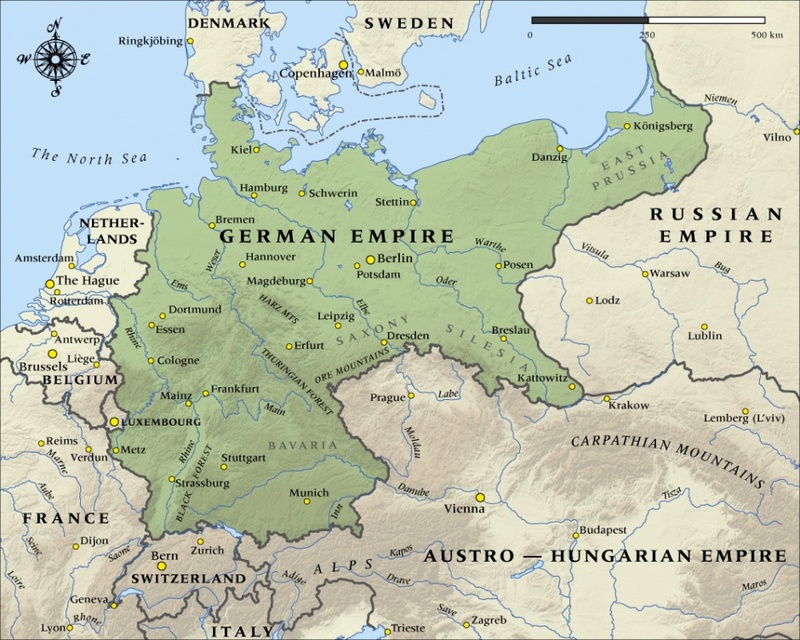 Take a look at the boundaries of Germany. It’s rather smaller than it was prior to the First World War. 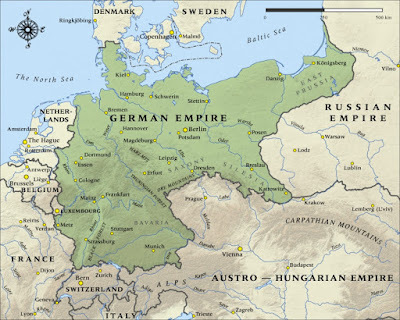 Germany used to stretch all the way to modern day Lithuania. The whole Polish cost was German. It’s not German now, because the Germans were forced out. Poles and Russians took their place. So let’s be clear. If you take a small country like Denmark and replace the population with people from elsewhere, you won’t have Denmark anymore. You’ll still have the land, but you won’t have the language or the culture or even the Danes. Throughout the centuries Britain has defended itself against various foes. But even if we had lost, our island would have remained intact. We weren’t therefore defending our land so much as our people. If Germany had conquered Britain and supplanted our population with theirs, we wouldn’t have had Britain anymore, we’d have had Germany. Some people may think this is farfetched, but it is exactly this that Germany intended to do in Eastern Europe. If they had won the Second World War, they would have extended Germany to the Urals. There would have been no more Poland, and no more Russia, because in these places there would have been no Poles and no Russians apart perhaps from slaves. But if we have been willing throughout the centuries to defend ourselves against those who would supplant us, then clearly we have the right to do so now. Our army would fight against an enemy trying to take over our country. We would do everything in our power to avoid this. Yet we stand idly by while this happens gradually. The UK’s population may reach eighty million within twenty five years. My guess is that if this happens the vast majority will live in the large cities in England. But there is free movement within the UK and anyone who lives here can choose to live anywhere. What if people began to decide that England was so full that it was preferable to move to somewhere with a bit more space, such as Scotland. If all fifteen million decided to come to Scotland our population would quadruple. A small minority of Scots would then have surnames beginning with ‘Mac’. Few indeed would speak Scots and fewer still would speak Gaelic. It would be hard to justify having television programmes in Gaelic when it was spoken by less than fifty thousand out of a population of twenty million. The road signs would, no doubt, no longer be in Gaelic. They might no longer even be in English. Places names are apt to change when populations change massively. You won’t find Königsberg or Breslau on any maps now. How many Scots would still wear kilts at weddings or recite Burns in January if our population benefited so much from immigration over the next quarter of a century? What would it be like to live in Scotland then? It would be rather full I imagine. But we’d be able to comfort ourselves that migration had brought with it diversity even if we’d lost some scenery. But what would have happened to all those things that we associate with Scotland today? Would they have been maintained or would they rather have been destroyed? It’s all very well thinking immigration is wonderful when it happens to someone else, but my guess is that the average Scottish nationalist would be horrified if the fifteen million people who may come to the UK in the next twenty five years ended up in Scotland. These new Scots for one thing might be uninterested in Scottish independence. They might not even think of themselves as Scots at all. But then Scottish Nationalist support for the EU and the virtually unlimited immigration that it brings looks rather hypocritical. It’s quite easy to be in favour of open borders when we know that ours will rarely be crossed. The benefits of immigration are great so long as only England benefits. Freedom of movement in Europe is a good thing. Most Europeans who come to live and work in Britain will adapt and learn to speak English. If they decide to stay their children will be indistinguishable from anyone else in Britain. But there has to be a limit and migration within Europe has to be managed. If this is not the case it will have lasting consequences not only for us, but for the countries from which the migrants have come. Already parts of Eastern Europe are suffering from the fact that there are only old people left there. If enough people leave Latvia, it’s not clear that there will be a Latvia any more. If Britain left the EU, we would be better able to decide who from the EU could come here. We have gained massively from freedom of movement within the EU. This could continue even after Brexit. It’s worth remembering that people, from non EU countries, such as Norway, Switzerland and Iceland can still live and work anywhere in the EU. But just as the rights of Bulgarians and Romanians were limited when they first joined the EU, it would be reasonable for some sort of limit to be put on the number who can come to Britain. This would benefit integration here and ease the brain drain in Eastern Europe. It would be foolish to even try to prevent immigration from Europe, but if it isn’t managed it will damage both Britain and the EU. The main benefit of leaving the EU however is not that it would limit migration from Europe. It may give us some more control and some more choice, but I would expect something close to free movement to continue in any event. It is a condition for access to the EU single market after all. Only on the day after voting to leave would negotiations even begin. At that point everyone both in the UK and the EU who is predicting disaster would be doing their best to avoid disaster. The end point of negotiations would most likely be something close to the position of Norway. The EU would be free to pursue its path to ever closer union while the UK would have the free trade association which is all that the vast majority of us have ever wanted. Unless you actually want political union with the other EU countries, you should clearly vote to leave. We would soon find out that we’d barely notice leaving the EU. There might be some sort of cap on the number of people able to come here from the EU. It might be made rather harder for Poles to claim benefits in the UK that British people can't get in Poland. But none of this would change things a great deal. This is because the British economy benefits from EU migrants and the reason immigration is a political issue in the UK is anyway not because of people coming here from the EU. But given that leaving the EU will not greatly change migration from Europe, what point does it have? The reason is quite simple. Leaving the EU would massively help our ability to control migration from outside the EU. It is already in theory very hard indeed for someone from outside the EU to come to Britain legally. My husband has had to jump through all sorts of difficult hoops in order to get a passport. But practically speaking, anyone from anywhere who arrives in Britain whether legally or illegally cannot be deported. We our constrained by the rules of the European Union into letting an indefinite number of people who arrive on our shores to remain. People who oppose leaving the EU talk about all sorts of scary things that would happen if we leave. But remaining in the EU guarantees that the population of our country continues to grow to such an extent that we would need another fifteen Birminghams. There is nothing we can do to stop this if we remain in the EU. This scares me far more than anything else that might happen. Britain will change irreversibly in the coming decades if we choose to stay in the EU and we will be powerless to do anything about it. Only by leaving the EU and thereby making UK law supreme rather than subordinate to EU law, will we regain the power to decide who can live here. Attempts to limit immigration without these powers are an exercise in futility. We must make everyone in Britain welcome no matter where they have come from. But it is in all of our interests that long term the character of our country continues. This is as much the case if my parents arrived here recently or have been here as long as it is possible to trace. Limited immigration benefits Britain and we should not close our doors to anyone. But unlimited immigration is an existential threat to our country. Leaving the EU is the only way we can regain the means to defend ourselves and our border.